After replacing a failed York Screw Chiller, this client has enjoyed a 20% reduction in energy cost at 83% load. Today’s commercial property owners are constantly looking for ways to reduce their utility bills. 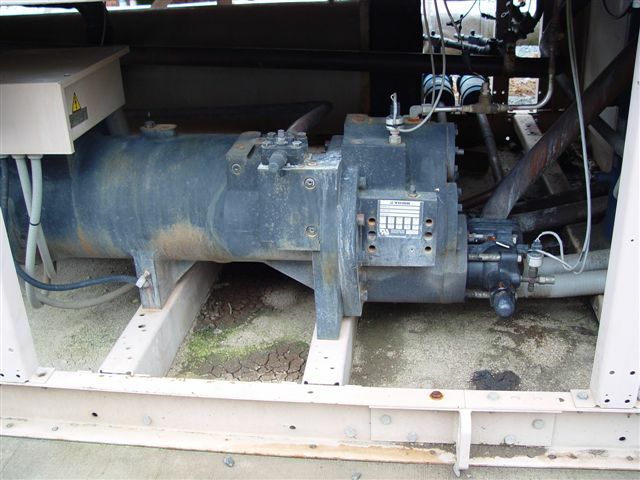 A major opportunity arises when it is time to replace old compressors in their HVAC systems. 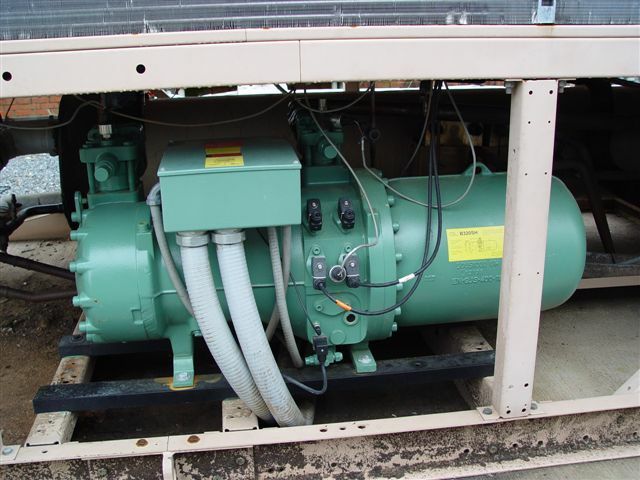 When the Harrison Property Group, the owner of 10 hotel properties, needed to replace an aging 60-ton York reciprocating compressor in its chiller at the Holiday Inn in Ocean City, Maryland, they turned to BITZER. Robert Walter, the lead mechanic for the Harrison Property Group, needed to satisfy three main objectives: find an alternative to R22; improve system performance; and reduce energy costs. 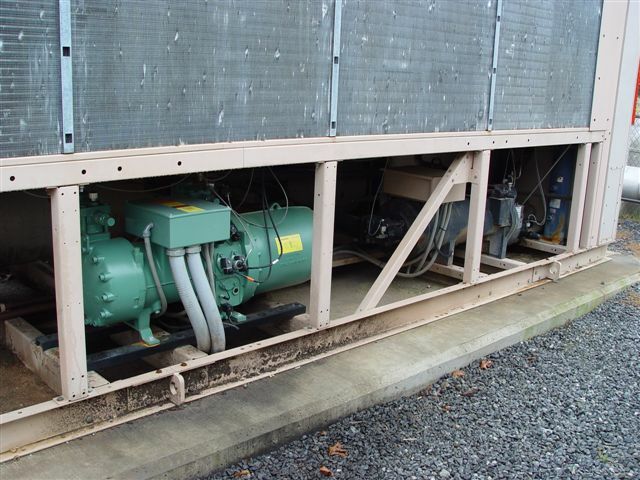 BITZER U.S., Inc., headquartered in the Atlanta area, and the local United Refrigeration branch in Berlin, Maryland, helped him achieve all three by replacing the recip with a BITZER Screw Compressor. 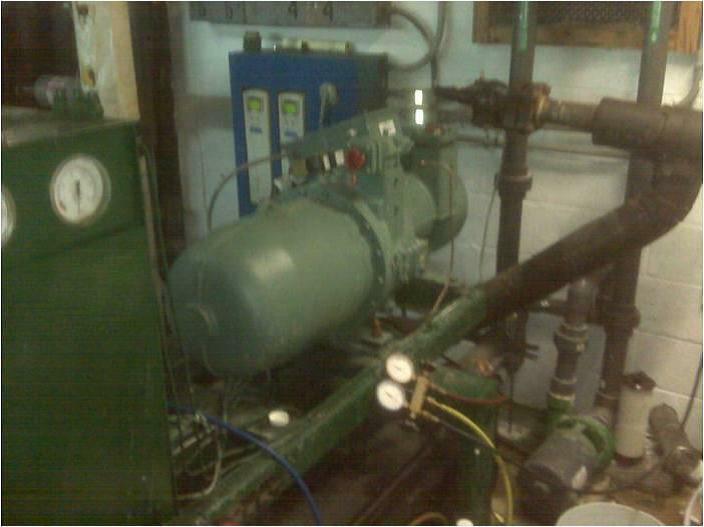 The original equipment at the Holiday Inn consisted of five 60 ton York reciprocating compressors (LCH50W-17PB) using R22 refrigerant. While BITZER Screws are often used to replace OEM Screws, this retrofit conversion involved a few more changes than usual to the compressor mounts, piping and wiring layouts. Once the R22 was recovered, the recip was removed from the chiller and the residual oil was flushed out. The frame was modified to accommodate the Screw and BITZER model CSH7551-50Y-2PU was installed along with a new Capacity Controller and an Electronic Expansion Valve. As with any replacement, liquid and suction line dryers were also installed. The system was pulled-down to 500 microns and charged with R134a. Robert Walter has since compared the system performance with the measurements he had taken before the retrofit conversion took place. There was an overall energy reduction of 50%, or about $600 per month in savings. The BITZER screw offers step capacity modulation (100%/75%/50%/25%) or infinite modulation between 100% and 25%. This enables the compressor to precisely match the system load and contributes to the energy efficiency of the HVAC system. An additional bonus was the overall sound reduction, as customers had often complained about the noise and vibration coming from the nearby mechanical room. According to Robert, the complaints have stopped since installing the Screw. The Harrison Group was so impressed with the results, they have done five more BITZER conversions since the first one was completed. Their next retrofit will utilize BITZER’s new CSW Series Screw, which is optimized for Low-Condensing temp applications (water-cooled chillers) and offers energy efficiencies at both full and part load conditions equivalent to oil-less, centrifugal compressors. 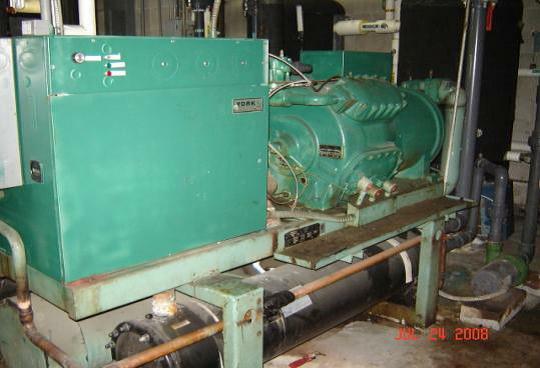 Upgrading compressors in aging HVAC systems is a very effective way to reduce overall power consumption. The investment payback period, even accounting for the additional labor and materials required for a retrofit conversion, is relatively short. As Harrison Properties and the Holiday Inn discovered, there can be other benefits as well.